Includes wedding reception venues, reception centres, function venues, function rooms and conference centres in Melbourne, Victoria, Australia. The Acorn on Forest Restaurant and Bar is situated on Forest Road in The Basin, Victoria at the foot of the majestic Dandenong Ranges. A cosy venue with a cottage feel, the Acorn On Forest is perfect ..
Australia's leading corporate conference, meeting and events venue / centre. Located in Yuroke just 27kms from Melbourne CBD and 10 minutes from Tullamarine International Airport. World class ..
Set in one of Melbourne's historic laneways, Alfred Place is one event space you're going to remember well after you've left. With soaring high ceilings and opulent touches of marble and rich emer .. Situated at the end of Central Pier's historic runway and housed in a 1914 heritage-listed cargo shed, Alumbra is an authentic warehouse conversion celebrating all that encompasses down town New York. ..
Set in the leafy surroundings of the South Eastern suburbs of Melbourne Amberlee Receptions are a modern yet timeless elegant reception centre with the flexibility to host any event. Our event rooms a .. Aria Bar and Events is a premiere functions venue offering breathtaking views of Docklands waterfront precinct, combined with elegant interior and versatile space. Aria is the perfect venue for you ..
Melbourne's newest event destination has opened its doors for the first time, unveiling a 1700 sqm centre in the city's north-west that's become the talk of the event industry. Intimate functions u .. Relax with the knowledge that we personally greet you and your guests, play your music, organise seating and make sure everything runs smoothly and to your requirements. Ballara Wedding Receptions ..
Batman Royale is an events space that specialises in functions, events and festivals. Batman Royale offers creative, colourful, and dynamic event solutions which include food, beverage and event m .. The Bayside Centre in Cheltenham is one of Bayside Church two great campuses. Cheltenham Campus - 99-101 Argus St, Cheltenham Public Transport Bus Route 903 Bus (Mordialloc to Altona) trav .. Here's a selection of BBQ locations near waterways and reservoirs for you and your friends and family to enjoy the 84Hundred* and beyond. Before you go, make sure you download the nearest Know Your R .. The Berwick Leisure Centre is owned by the City of Casey Council and is proudly managed by the YMCA. The centre hosts a large gymnastics program, dance program and many other children's programs, Incl ..
Bobby McGee's Entertainment Lounge is an events venue that caters for any and all types of social & business events. Whether you have fifty or five hundred people, if there is an occasion to cele ..
Hamptons style wedding & event venue catering 150-300 guests Opening April 2018 .. The Lodge was formed on the 22nd July 2002 with the merging of the Duke of Brunswick United Lodge No. 132, the City of Brunswick United No. 244 and the Bi-Centennial Lodge No. 457. These three Lodges ..
Parkview Room (next to Camberwell Library), 340 Camberwell Road, Camberwell. The Parkview Room is a 220 seat function room, ideal for your next corporate, social or community event. Opening hour .. Cargo Hall is Melbourne's newest riverside purpose-built event space. Featuring a suspended stage and retaining its original heritage feel, this is an ultra- cool industrial events space. 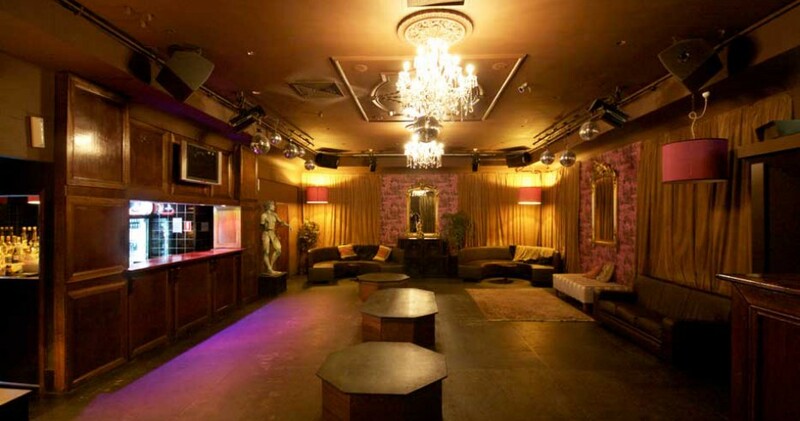 Cargo ..
Carnegie Hall is Melbourne's best venue for live music of the 60s & the 70s. Its the place to be if you love music of the 1960s and music of the 1970s where you can dance all night. We rock on th ..
Central Hall, 20 Brunswick Street, Fitzroy Central Hall (also known by its former name, Cathedral Hall) stands at the end of Brunswick Street in Fitzroy. Cathedral Hall consists of meeting room ..
Central Pier Docklands is a cultural, community, entertainment and events hub in the booming Docklands region. It is superbly positioned jutting 350 metres out into Victoria Harbour and surrounded .. WEDDING RECEPTION & FUNCTION CENTRE Nestled in acres of majestic and natural gardens at the foothills of the Dandenong Ranges in Melbourne's outer eastern suburbs, Chateau Wyuna is renowned as a tr ..
Only minutes from the CBD, the stylish and elegant Church364 is one of Melbourne's hidden secrets. This stunning venue has recently undergone significant renovations, securing its position in the uppe ..
Club Kilsyth is one of Victoria's premier clubs offering warm relaxed style with facilities including bistro, gaming room, members lounge, function area and TAB. ..
Abbotsford Hall Hire The Centre at 141 Gipps St Abbotsford can be hired for short or long term periods. The Collingwood Masonic Centre is owned and operated by Collingwood United Masonic Center .. Conferences | Functions | Leisure | Yarra Valley | The Dandenongs | Melbourne | Victoria Conference & Group Accommodation Venue in Victoria Enjoy a first class conference centre just out of Melbou ..
CQ Melbourne is a boutique multi-servicing venue in the heart of Melbourne CBD. Independently owned and operated since 2006, CQ has many homes within it's Queen Street building. We have versat ..
Cretan House Function & Reception Centre is managed by the Cretan Brotherhood of Melbourne and Victoria. A volunteer community organisation that is focused on fostering Hellenic and Cretan culture, ..
Nestled on the rooftop of Crown Towers with spectacular city skyline views, Crown Aviary is perfect for every style of celebration. Beneath the Melbourne sky with views towards the glittering light ..
Crown Conference Centre is Australia's newest purpose-built hotel convention facility. Catering for large residential conferences, meetings, seminars, product launches and exhibitions. The Ce .. The Crystal Room is contemporary in style, featuring coffee velvet curtains, red and chocolate brown ottomans and mood enhancing lighting, ample seating, private bathrooms and a great dance floor. ..
D'Olive Estate is set on 10 acres of beautifully landscaped gardens complete with a a gazebo looking over the lake. The estate offers 4 star accommodation, restaurant, conference and function room .. Known locally as Dallas Brooks Hall, the Dallas Brooks Centre offers a wide range of facilities for concerts, meetings, conventions, exhibitions and banquets. The Dallas Brooks Centre is located at ..
5 unique venue spaces are available for hire If you're looking to hire a venue for your dance classes, rehearsals, workshops, photo shoots, auditions, business meetings and events we have what it t ..
Dragonfly Restaurant and Function Centre Banquet & A la Carte Dining Smorgasbord Menu (Available Cabaret & Show Nights Only) Takeaway Menu 50% Off Offer* - Every Wednesday & Thursday ..
Set amidst five acres of native gardens, this unique mud brick venue offers three impressive areas suitable for weddings, dinners, seminars, art shows and displays. Facilities Kitchen T ..
Emulation Hall, 3 Rochester Road, Surrey Hills. Emulation Hall, Canterbury is a two storey brick building that was constructed in 1927-28 by the freemasons. Having been lovingly restored to its ..
Encore is simple, effortless and natural. Located on Melbourne's most famous beach, St Kilda. Encore is focused on delivering outstanding quality in every aspect of private events, conferences, ga ..
A Conference Venue with Meeting Rooms for Conferences, Meetings, Functions, Training & Events in the Melbourne CBD Ether is a unique Melbourne conference venue offering conference facilities, diver ..
ether is a new concept in conference facilities specialising in a quiet and relaxed space to meet in the busy city centre. Offering nine multipurpose rooms, ether caters to a variety of meetings, conf .. Whether it's for 50 or 2,000 guests Melbourne Aquarium has five spectacular spaces to choose from - the 2.2 litre Oceanarium or Fish Bowl, the amazing Coral Atoll, luminous Jellies, the fabulous views ..
Accommodation Gracies Restaurant High Tea Weddings Conferences Flowerdale Estate is a beautiful and historic venue for your conference, wedding, weekend dinner bed and break ..
Chapel Street is home to a stylish new venue, within the historic Prahran Town Hall. Functions On Chapel is also an impressive space for conferences, business seminars and workshops. WEDDINGS & ..
Gardenhurst Reception & Convention Centre 82-86 Bulla Road North Essendon ..
Start your hens night in a tasteful way, with life drawing and dance classes. Fun and frivolity awaits, as you sketch & giggle your way under the guidance of our art hostess & male model. You also ..
Nestled in the foothills of the picturesque Macedon Ranges offers: ​​ Functions- Parties- Celebrations - Birthdays - Anniversaries -Sports Functions & Presentations, School Functions We ..
Based in buzzing Prahran, near the iconic Melbourne Chapel Street precinct, Hobba operates as a cafe during the day and as a private event space by night. Housed in a converted warehouse, Hobba's .. Corner Warrigal & Batesford Roads Chadstone Holmesglen Conference Centre and Corporate Suites are centrally located at the Chadstone campus off the Monash Freeway only 10km from Melbourne's CBD. .. If you're planning a birthday party 21st, 30th, 40th, cocktail party, hens / bucks party, engagement, office party, Christmas party, private or even corporate function, Just Functions takes the hassle ..
Karstens Melbourne is centrally located in Queen Street, between Collins and Bourke Streets From the company's inception, Karstens Centres are designed to deliver superior Conference & Meeting serv ..
Lunica on Parkville is ideally located only minutes from Melbourne's CBD with easy access to Tullamarine Freeway and City Link and offers ample free onsite parking. We offer a modern cuisine with .. Handsomely refurbished and refitted in 2007, the former Sydney Ferry "Lady Cutler" is the new Melbourne Showboat. She is a venue geared for your entertainment on the water with shared and exclusive cr .. Located in the back of the Yarra river, Leonda by the Yarra offers a range of function packages and restaurant quality menus that can be tailored to suit your needs. Leonda By The Yarra has a long ..
Little Fete hosts children's Art and Craft activities which include Birthday Parties / Workshops and daily Mummy/Daddy and Me classes. Little Fete is an Arts and Craft studio that caters to kids a ..
One of the City's Most Exclusive Event Spaces For Little Ones & Adults Alike Our parties are custom themed to ensure each celebration is as individual and as wonderful as you are. Set in over 3 .. The Mandalay Reception Centre in Northcote is the perfect venue for your wedding ceremony and reception. Superbly appointed in a beautifully restored period home complete with onsite garden. Whe ..
Manningham Function Centre opened its doors at 699 Doncaster Road, Doncaster in August 2001. The Centre is purpose-built to accommodate a wide variety of functions such as conferences, wedding rece ..
Marnong Estate is rich in history and unique in offering. A destination like no other in Australia. Situated only 15 minutes from Melbourne airport and 35 minutes from Melbourne CBD, there is somet .. The Centre has a large hall (175 sqm approx) and kitchen facilities. It also has a board room, small lounge and large carpeted room. We have 12 large round tables, or rectangular tables and chairs, ..
Amidst the hustle and bustle of Melbourne's Central Business District lies a hidden treasure; Melbourne City Conference Centre (MCCC). Committed to providing for your every need, MCCC is the ideal ..
Melbourne Conference & Training Centre (MCTC) is a multi-purpose venue located within Melbourne's iconic Olderfleet building. We offer first class event, conference, meeting and training facilities fo .. Some of Australia's leading companies entertain their clients at the Melbourne Park Function Centre. The centre offers flexible facilities capable of accommodating a wide range of functions and events ..
Melbourne Pavilion is one of Victoria's newest and most unique event destinations. Set in an inner city heritage listed building, you will find a stunning combination of new contemporary design an ..
With a range of pubs, bars and restaurants offering function space for hire, we have the ideal function venue in Melbourne for your next corporate event, birthday party, wedding reception, engagement ..
Where you marry is almost as important as who you marry" Melrose has over 20 years' experience in creating weddings. With three specially designed function rooms catering for between 100 and 800 guest ..
Merrimu is a unique boutique venue, specialising in Weddings, catering for Melbourne brides and grooms since 1955. We offer the choice of two separate elegantly appointed function rooms, depending .. Perfect for weddings, engagement and birthday parties, product launches, presentations, corporate function, glittering soirees-even a lavish summertime BBQ Set amongst the clouds high above Melbour .. The Monash Conference Centre is situated at the 'Paris End' of Collins Street amongst Melbourne's busy corporate sector. The Centre boasts superb views over Melbourne's central business district and i .. 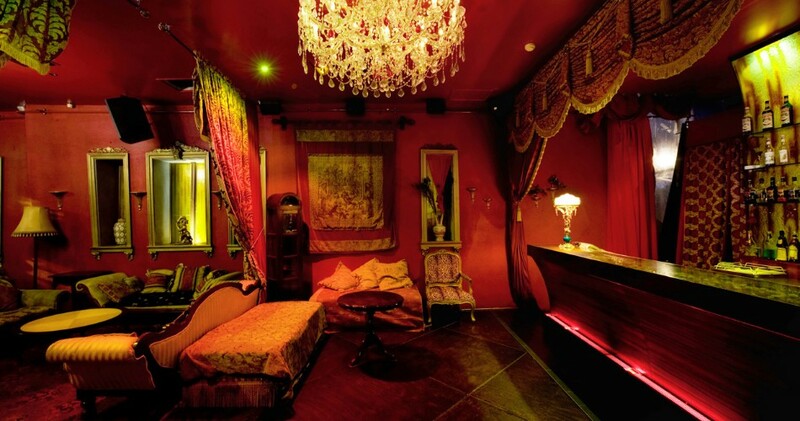 Experience the allure of one of Melbourne's premier cocktail lounges, The Moser Room. This Room has been tastefully decorated, with a luxurious Victorian meets Moroccan design, featuring a stunnin ..